Blade of Queen will undergo an update for S1-S158 to improve and provide better game experience, which starts at 04:00.Apr.12 (EST). This update lasts about 15 minutes after the in-game announcement. 1. New Class: Blade Wings & Fantasy Plumes. New Function: Apocalypse. Brand New Class & Unique Skills are waiting for you. Requirement: Unlock at Lv.170, after completing certain instance. 2. New Function: Oracle. You can summon Oracle in battle. Oracle will offer you brand new stats and unique experience. Requirement: Unlock at Lv.160, after completing certain instance. 3. New Sections of Evil Palace, 6th & 7th Floor will be available. 4. New 8th Chapters of Crusade. New Boss for the 7th section of Crusade. 5. New Chapters of Multiplayer Instance, North Snowfield & City of Sky will be available. 6. 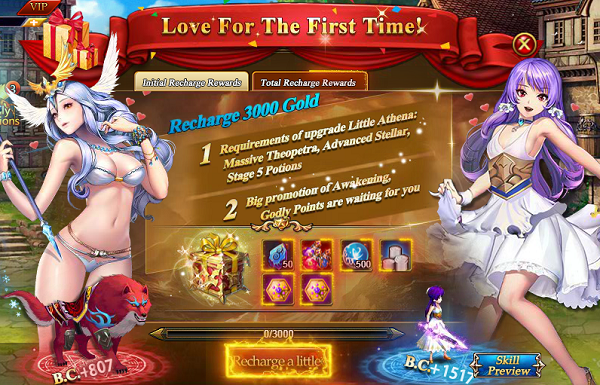 New slot for first recharge. You will get massive rewards if your total recharge amounts reach 3000 Gold. 7. New Function of Read All for Mail Box. Mails in current page can be selected and read. 1. Improvement of Avatar. Players now can check Achievement, Horcrux, Outfits and Nobility there. 3. World Boss & Sanctuary Boss will reduce its taken damage. The percentage of taken damage reduction will be decreased to 0 over time. This setting is for BOSS to avoid being instantly killed by players. 4. Improvement of settlement for Big Profit. If players didn’t collect rewards in time, the icon won’t disappear until the rewards are collected. 5. Improvement of Arena. 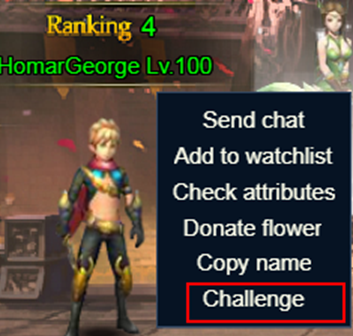 Players now can click others’ name to challenge. 1. Fix the bug where Str, Vol and Int stats bonus of Goddess Vow don't take effect. which is listed above. Please be assured that it’s normal. 3. Description of St.Antique Befallen has been corrected. 4. Bug of anomalous cursor during purchasing in Troop of Evil fixed. 5. Bug of anomalous health recover of monsters in some cases fixed. 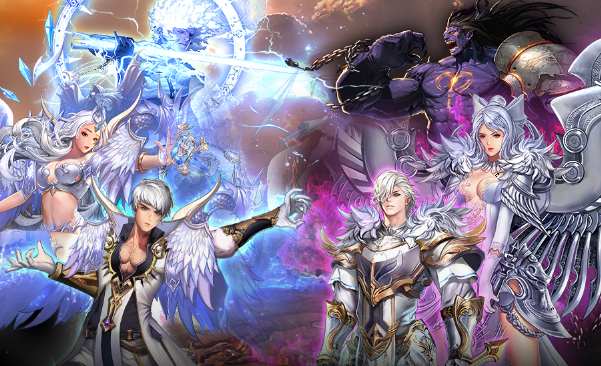 Previous>S159【Samsara】official launch, New server gifts are waiting for you! Next>S158【Chaos Land】official launch, New server gifts are waiting for you!